Canada’s Prime Minister Justin Trudeau portrays himself as the leader of progressive values. His public relations team has spun his smiling visage onto pages of magazines and the daily’s of western capitals as a symbol of progressive change – the anti-Trump of the western world. Trudeau recently had the stage as host and the Presidency of the G7 Summit in Charlevoix at a staggering cost of $605 million. Climate change, the greatest challenge of our time, was one of Canada’s professed priority areas for the G7 Summit. The final statement of the G6 reaffirmed their “strong commitment” to the Paris Agreement, and a “just transition” to a low-carbon economy. The final text, however, was weak in meaningfully addressing the looming crisis, especially since the G6 was freed from seeking agreement with the USA, given the Trump administration’s withdrawal from the Paris Climate Accord. Here was an opportunity for Justin Trudeau to show – a better world is not just possible – it’s necessary. The final statement professed to reach carbon neutrality “over the course of the second half of the century,” rather than by 2050 — a target widely seen as critical for meeting the Paris Agreement’s goals. There was no mention of their earlier pledge to eliminate fossil fuel subsidies. Canada provides $3.3 billion in subsidies annually and has just bought a $4.5 billion pipeline. The International Monetary Fund put the total value of Canada’s indirect energy subsidies at a staggering US$46 billion in 2015. 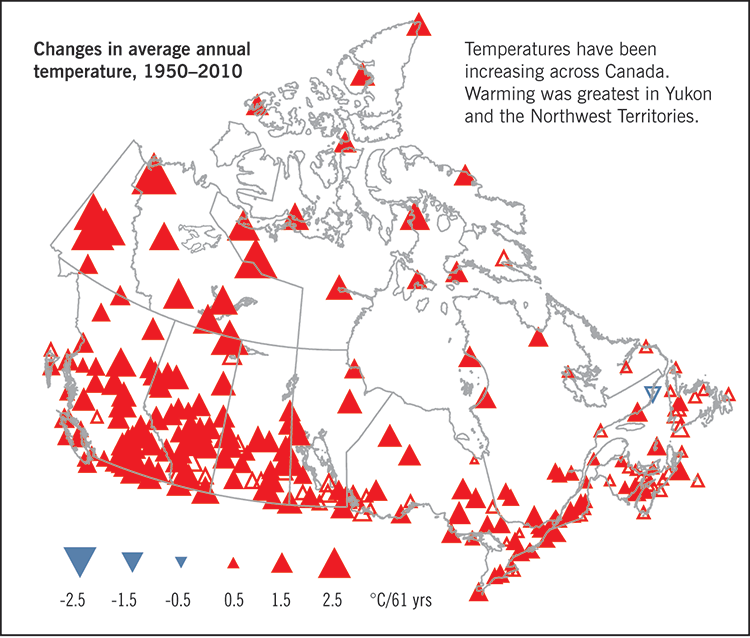 What is Canada’s climate record? Canada stands out – for the wrong reasons! While emissions in Japan and the US (excluding emissions from land-use, land-use change and forestry “LULUCF”) rose approximately four percent between 1990 and 2015, Canada’s emissions surged by 18 percent, the largest increase in the G7. The European G7 states lead the way in reducing greenhouse gas (GHG) emissions. Between 1990 and 2015, France, Germany, Italy and the UK each reduced their emissions — and met their Kyoto targets During the same period, emissions in Canada, Japan and the US rose. The European countries had also set a target of reducing emissions by at least 40% below 1990 levels by 2030 and a reduction of 80-90% below 1990 by 2050. Instead, Canada committed to reduce emissions by 30% below 2005 levels by 2030 and 80% by 2050. Canada chose 2005 because it was heavy emitter and laggard post 1990. The reality: Canada is on target to increase GHG emissions by 2030, from 1990! If all countries followed us the global temperature would rise 3-4C (http://climateactiontracker.org/countries/canada.html). Canada’s federal governments, under both Stephen Harper and Justin Trudeau, support fossil fuel industries and extraction arguing that there must a gradual transition, that the economy and jobs would suffer if too rapid a slowdown or halt on were placed on the “Oil Sands”. It would hurt the economy and there would be less money for health care, education and social programs they warn. Justin Trudeau hauls the phrase “the economy and environment go together” every chance he gets – we know, we’ve all heard it, ad hominem. Between 1990-2016, all the G7 countries experienced real economic growth – including those whose emissions declined. There is no correlation between reducing emissions and declining economic performance. Germany and the UK beat Canada’s economic performance in terms of real GDP growth per capita, and yet they reduced their emissions and generated more wealth. The true test of climate leadership is the ability of the G7 to demonstrate real change – reducing GHG’s and genuinely transitioning their economies – thereby harnessing global ambition and action, including by China, India, Brazil and other emerging economies. In this regard, the Liberals phrase “Canada is back” rings hollow. Canada is a wealthy country with enormous talents. Evidence that our economies can thrive while emissions fall strengthens the leadership and credibility of the G6 or G7 to show the way forward. By contrast in 2015, Canada was also the top emitter among the G7 in per capita terms In future decades, Canada will need to find other ways to accelerate and reduce emissions from the rest of the economy and that will have pose steeper financial costs and difficult political choices, given its procrastination and failure to adopt meaningful measures. The cost will be borne by future generations, and not just economic costs – at risk of an overheated planet – with detrimental affects to air, land and waters. The destabilizing affects on countries and populations will force migrations and engender conflicts and wars. No country will be immune to the global impacts. Actions speak louder than words. Justin Trudeau and his Liberals say a lot of the right things – they just don’t do them. Trudeau’s duplicity betrays Canada and future generations. It will hurt a lot more down the road. That is not what responsible governments and leaders do.